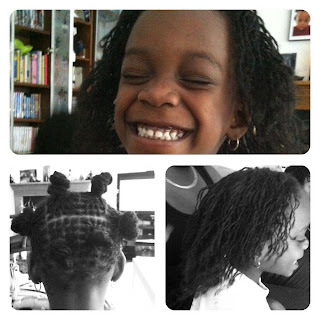 Everyone welcome my youngest client ever - lil Miss K - affectionately known as 'Happy Angry Birds' - isn't she a cutie? This young lady sat very well for two days of her installation and is now Sisterlocked and Loving it. Oh - Lil Miss K turned 4 a few weeks after her installation. Love it!